2017 CLASSES START SOON – SIGN UP TODAY by clicking [HERE] Or scroll down below to find out more! 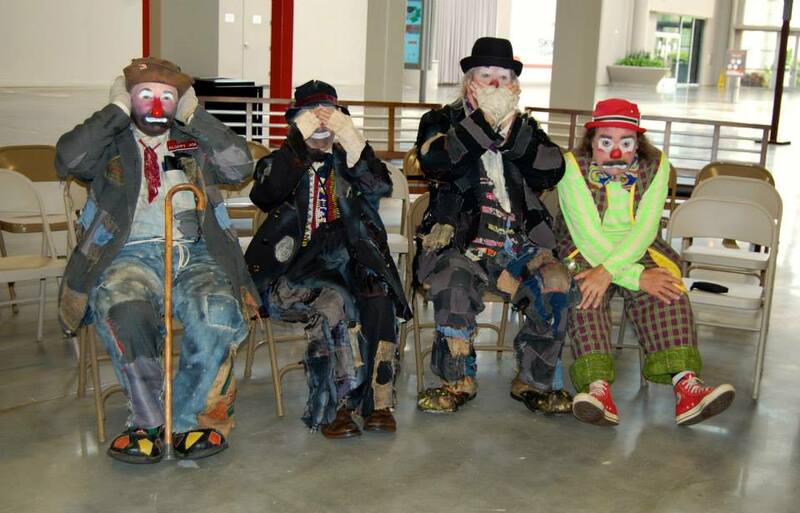 An Introduction to the Clowning Arts! 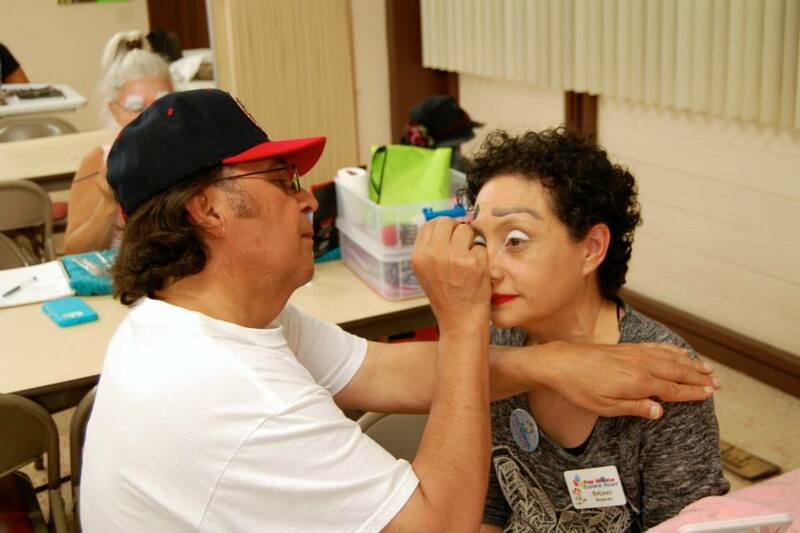 Fun World Clown School is a 12-Week clown school focusing on the basics of being a clown which include character development, how to look, walk and act like a clown, basic performance skills, costuming, makeup, skits, walk-around activities, improvisation and more! 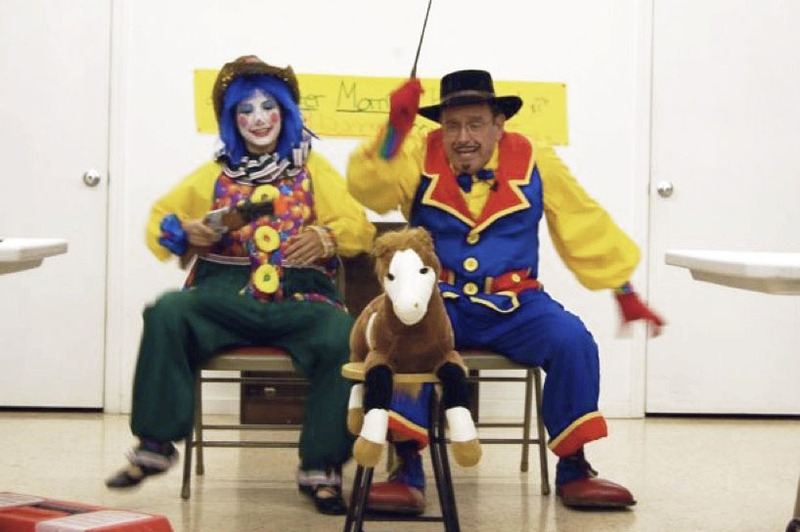 Please Note that balloon twisting and face-painting are NOT part of this 12-week course but WILL be offered as part of the regular monthly meetings of our clown alley which you will be a member of upon graduation! 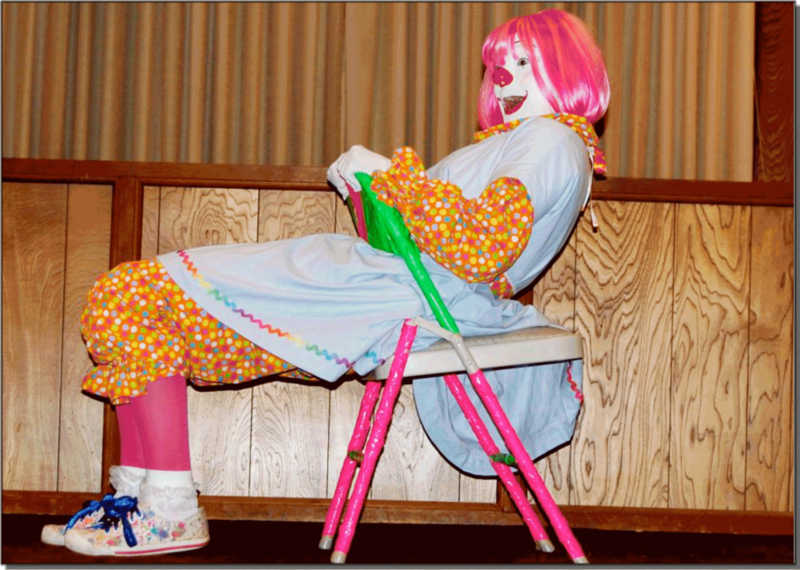 For all budding clowns age 16 and up! Sloppy Joe, Dyn-O-Mite, Uncle Strudelnoggen and Roscoe Wait for the Show to Begin! 12 weeks in a classroom setting! 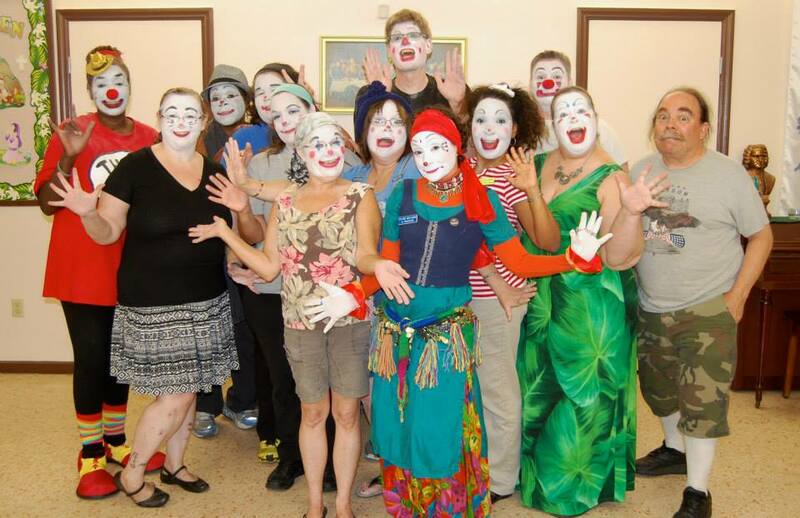 Each class covers a different aspect of clowning which builds upon the previous week. There will be small reading assignments between classes, and you are encouraged to practice using whatever you’ve learned! From the first day, you’ll be learning skills which you’ll demonstrate at a graduation show that you’ll help put together! Invite your friends and family to watch, and we’ll even film it for you to keep, so you can show the rest of the people you know what a clown you really are! Our next class will be announced later this year. READY TO SIGNUP? Click [HERE] To Register! Cattywampus Performs her graduation skit.